A day late, but hey! 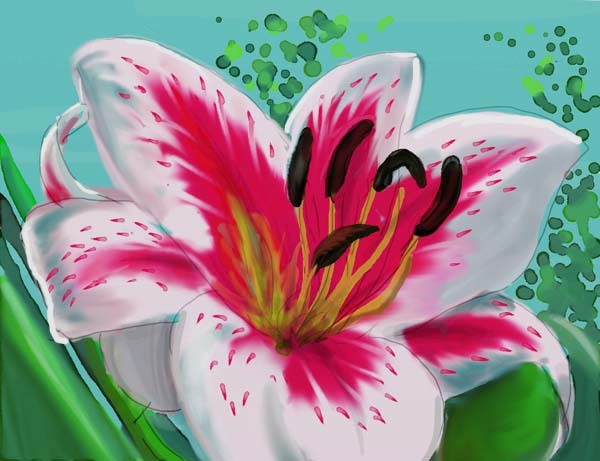 The topic I chose was "flower" so I had a go at a lily in Artrage watercolours. It took longer than I thought it would; another late night. The topic: "object nearby". 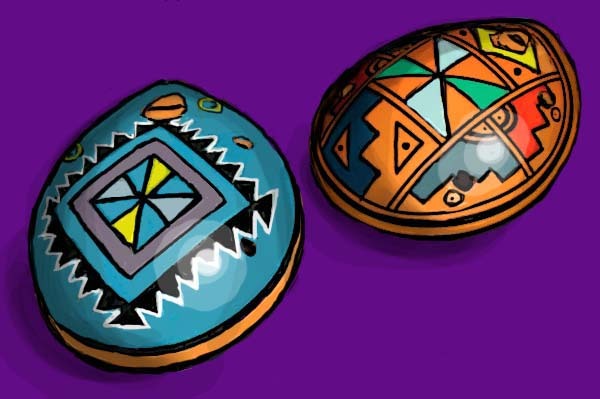 I did two: my clay ocarinas from Mexico. They looked very flat (if bright) till I added the shadows and highlights - it really makes all the difference. The shadows make things rounded and the highlights make them come alive. They are on a wooden surface, but I thought purple really made them stand out. The blue one works best as a whistle but I got them for their looks anyway. 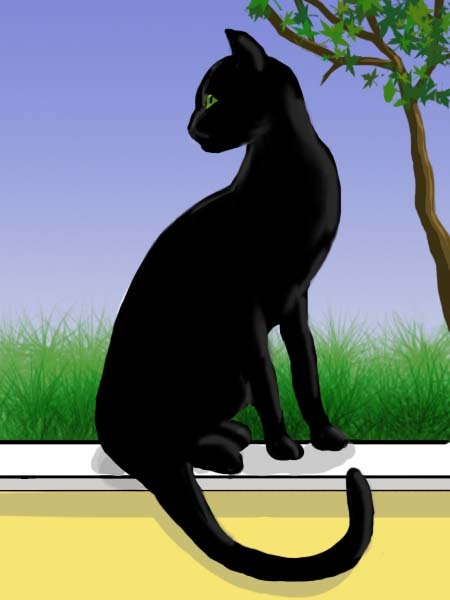 I was out most of Saturday so this was a simple drawing of a black cat in a window for the topic "animal". Grass and leaves are care of special brushes, yay. It's not my Sebastian; it looks like a cat less than a year old. The icon BTW is from a drawing I did in a previous August, of a magnolia tree outside a friend's house. That was one of the places I went yesterday and the tree is just as stunning as that time, laden with flowers against a brilliant blue sky.